A veteran Sommelier with nearly 30 years experience in the hospitality, wine and media industries, Curtis Marsh is one the most assiduous and erudite, truly independent wine writers, commentators and presenters in Asia. Having travelled extensively throughout the vineyard regions of the world and the Asia region, food, travel and culture feature equally in his commentary. Over a period of twelve years, Curtis has worked with many Asia-based publications; most prominently he was the wine columnist for the Hong Kong Standard, Weekend Lifestyle Magazine for 3 years (2005 – 2007). Other publications Curtis’s articles have appeared in include; Cuisine Wine & Asia, Hong Kong Tatler; Gafencu Men, Expat Living (Singapore), Appetite Magazine, I-S Magazine and Telescope Magazine. 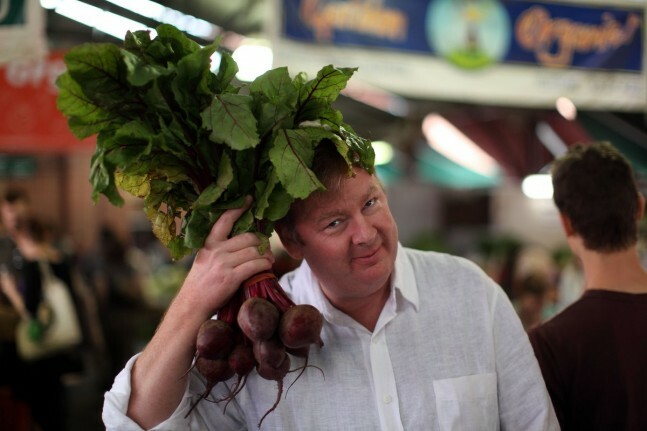 Affirming his international media credentials, Curtis was the Asia correspondent for Thomson Reuters Lifestyle section, www.reuters.com writing a regular wine column and also contributing articles on food and related topics. Furthering his reach in Asia and globally, since 2009, Curtis has been wine, food and travel columnist and main-page blogger for Asia Sentinel Internet-based Newsmagazine, www.asiasentinel.com which is partnered to the International Herald-Tribune (New York Times). Apart from these publications, Curtis’s main focus is his own popular website www.thewanderingpalate.com “The Wandering Palates disordered thoughts and utterances; incoherencies, mental wanderings, intoxications, delusions, hallucinations – essentially the wanderings of delirium”, attracting a readership spanning 130 countries and averaging over 600,000 hits monthly, the largest audiences being Singapore, USA, UK and Australia with the combined Asia region the most significant. The Wandering Palate website covers wine travel, detailed profiles of artisan winemakers, wine reviews, vineyard terroirs and also embodies personal experiences, appraisals and informed advice on restaurants, wine bars, accommodation and produce worldwide. Commentating and presenting are synergistic with Curtis’s writing and tasting career and he is perpetually involved in wine seminars, corporate events, educational wine tastings and presenting wine luncheons or dinners throughout Asia for major companies such as UBS, Deutsche Bank, HSBC, Credit Suisse, Merrill Lynch, Hitachi and Asia Food Channel. More recently, Curtis has been engaged by the Conrad Hilton Koh Samui, the flagship resort of the group opening in July, 2011, to design and implement their entire wine program, to which this has been extended to regional role in Thailand. Other current clients include, Coriander Leaf and Screening Room – Singapore, The Dahu Group including flagships Mantong and Hutong Kitchen – Melbourne. He has also donated his time for the last three years as wine coordinator and presenter for the Singapore Sun Festival. This lifestyle festival is held annually in Tuscany, Napa Valley and Singapore with Curtis presenting alongside celebrity chefs such as Floyd Cardoz from New York, Luke Mangan, Australia and Thierry Marx, France. In 2010 Curtis presented with global Ambassador for Actions of AIDS and acclaimed actor, Sharon Stone, along with celebrity chef, Curtis Stone. IMG Artists COO, Jeff Fuhrman, organisers of the Sun Festival’s held around the world, has acknowledged Curtis Marsh’s significant contribution to the Singapore event. Curtis has also designed and organised some of the largest wine events in Asia to date incorporating some of the world’s most respected wine journalists such as Robert Parker, Allen Meadows, Andrew Jefford, Matt Kramer, and James Halliday, equally highly respected vignerons and celebrities such as Sam Neill, Josh Jensen, Ted Lemon, Nigel Greening, Philip Jones to mention a few. Visit the Wandering Palate website for detailed coverage on these events. A New Zealand national and highly regarded Sommelier at the then famous Wellington restaurant Lavelle’s, Curtis was runner up in the inaugural Air New Zealand Sommelier of the year awards. Curtis moved to Melbourne, Australia in 1986 taking up the position of Sommelier with industry doyen Herman Schneider, at the renowned Two Faces Restaurant. Instrumental in establishing the Australian Sommeliers Association, Curtis served as its first Vice-President, even though he had evolved in to the wine industry at this juncture. A natural progression from the restaurant front-of-house followed with Curtis consulting to many of Australia’s icon restaurants, designing wine lists and cellars, raising service standards and installing an innovative and progressive wine culture that imbued leading chefs and restaurateurs in the evolution Australia’s contemporary dining scene. Wine marketing, distribution and importing ensued, pioneering some of Australia and New Zealand’s most reputable vineyards and growing organically over fifteen years to a distinguished portfolio incorporating some of the most prestigious vineyards in the world, crystallizing Curtis’s wine industry career. Having lived in Hong Kong for five years, and now based in Singapore for the last seven years Curtis is firmly entrenched in Asia. He is unrelentingly committed to the vinous edification of the Asia-Pacific region, championing the artisan winemakers of the world and in a self-appointed ambassadorial and patriotic role, the ‘new world wines’ of New Zealand and Australia, albeit an enduring wandering palate and Sommelier.